Eden Viaduct, bridge WCML5, is a 7 span viaduct structure comprising of 5no stone piers with a concrete deck spanning approx 70m across the River Eden. Scour protection to the masonry and foundations was necessary to secure the future of the structure. This was a challenging project due to adverse weather conditions and essential environmental considerations due to working in the river. The 7 span viaduct structure comprises of 5no stone piers with a concrete deck spanning approx 70m across the River Eden in Carlisle. There was ongoing reactive maintenance undertaken to repair voiding to pier 4 foundations from 2007-2010. Underwater examinations confirmed that the bedrock was being scoured along the face of the piers, such that the piers are elevated above the surrounding bedrock, with the foundation courses overhanging. Provide a solution to repair and prevent further scour to the bridge substructure. Develop a temporary works system to gain access across the River Eden and provide a piling platform to undertake piling works. Final design to satisfy strict EA conditions surrounding fish migration. Access methodology to be developed to accommodate 18T weight limit bridge on only access route to structure. Construction methodology and solution to be developed around fluctuating river levels. 64T of permanent interlocking sheet piles were installed surrounding each pier. The piles were driven to refusal, toeing into the mudstone bedrock. Following this, 282M3 concrete was poured between the pier and the sheet piles, with a capping beam formed at cut-off level. The key challenge for the project was installing a temporary causeway in order to gain sufficient access across the river, and to undertake the works. Stone filled gabion baskets were stacked upon the river bed, and 6m steel bridge plates used to span the gap. A stone piling platform was then installed between the piers, with large diameter pipes passing through the construction to maintain river flow. The works were planned and implemented in controlled phases. This ensured sufficient cross-sectional flow of the river was maintained and allowed fish migration to be unhindered. 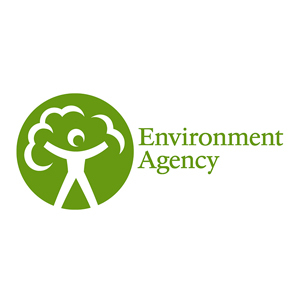 Our project team worked in close collaboration with the Environment Agency. Consent restrictions were agreed allowing the project to complete successfully within the permitted time window. This ensured the works had no adverse effect on the fish spawning season. The site team successfully managed pedestrians passing through the site avoiding any need for closure or diversions to a world heritage trail, ‘Hadrian’s Wall’ footpath. The River Eden encountered substantial flooding in December 2015 following works completion in October 2015. Inspections to the structure in January 2016 revealed no adverse effect to any of the bridge strengthening works, which carries the West Coast Mainline north of Carlisle into Scotland. We are all pleased the job was completed to everyone’s satisfaction. The project was very well run, both on and off site and the workforce behaved in an exemplary manner. The weekly reports were very useful. Thanks to everyone involved from Story Contracting and your consultants.